The week before the concert I did a search to try and find out the support act for Nickelback and discovered it was Skillet. 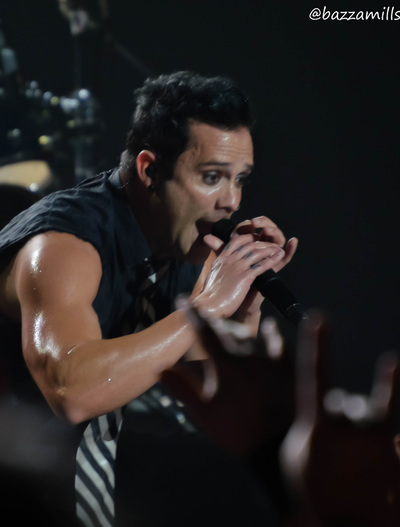 My first reaction was “Who?” so I decided to do a bit of research to try and find out more about Skillet before seeing and hearing them perform live.I have to admit I was somewhat surprised to find that Skillet have over 4.7 million likes on Facebook and have been in existence since 1996. During that time the band have released 8 albums and received 2 Grammy nominations – pretty impressive stuff for a support act! 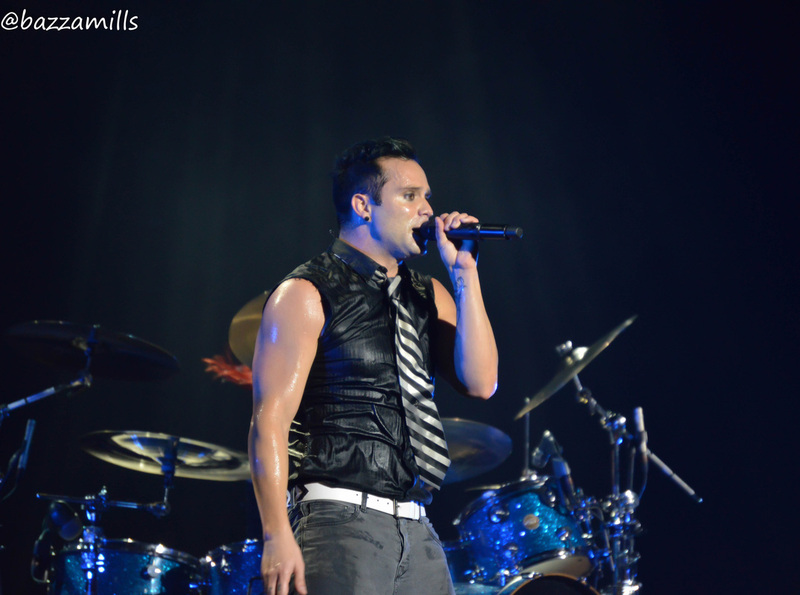 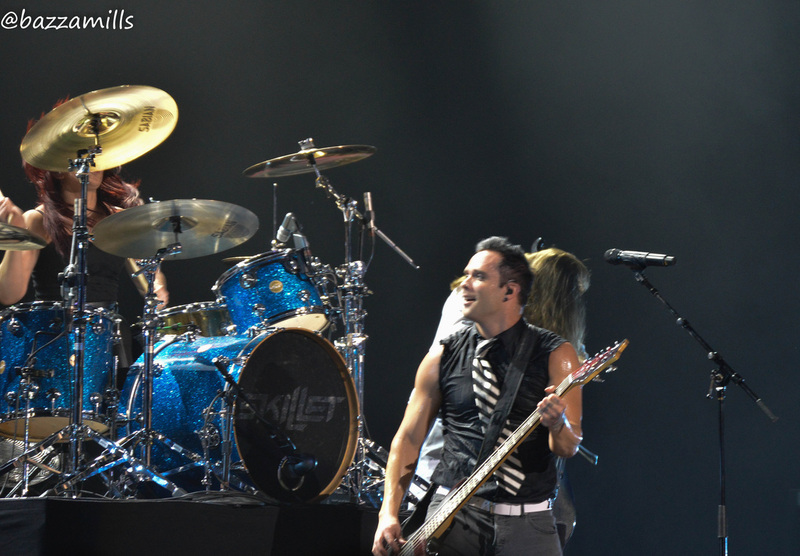 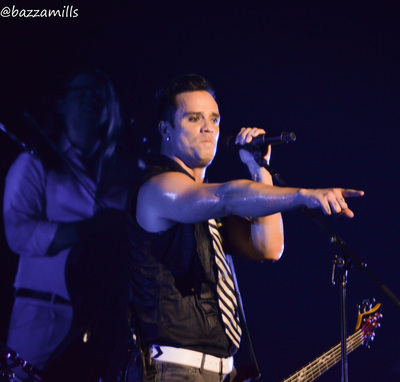 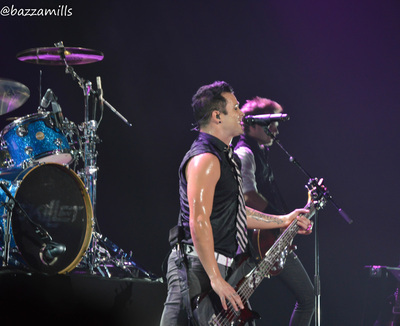 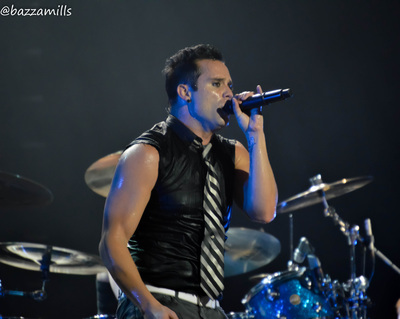 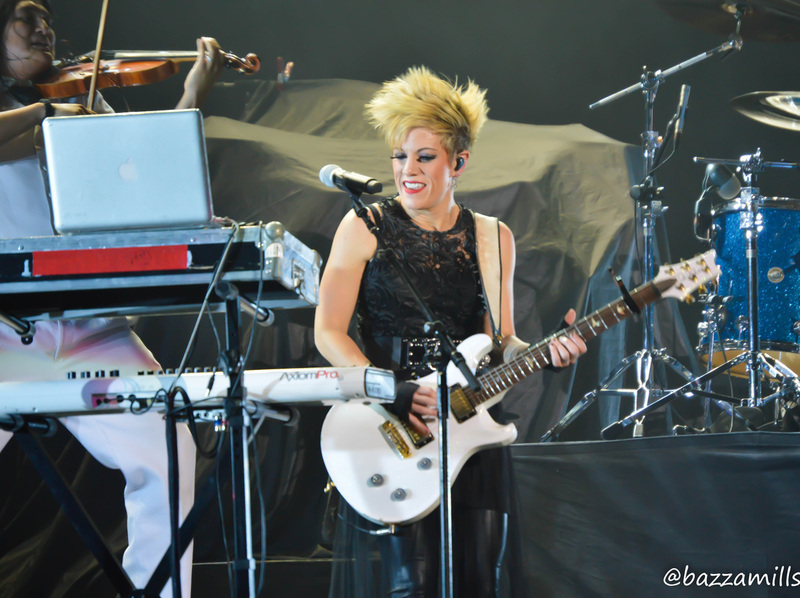 I also discovered Skillet are a Christian rock band headed up by bassist and lead vocalist John Cooper with the band also including his wife Corey (keys and rhythm guitar) as well as Jen Ledger (drums) and Seth Morrison (lead guitar). So onto the Hydro, my mate Colin and I certainly enjoyed the set Skillet delivered and the group did a very good job of warming-up the crowd before Nickelback took the stage. 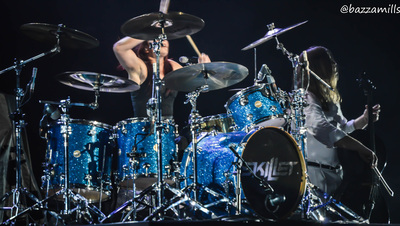 I got the impression there were not too many people in the crowd familiar with Skillet but with the high energy non-stop set it appeared the crowd warmed to Skillet with ease! It was clear this was group who were well versed in entertaining with John Cooper sounding polished and the rest of the band also sounding great. 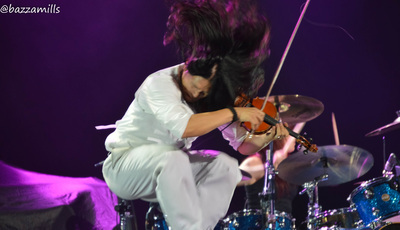 Sometimes during a support act the crowd are a little subdued but with flying violinists and the invasion of ‘Onesies’ the crowd were well into this and the only downside was the set coming to an end. 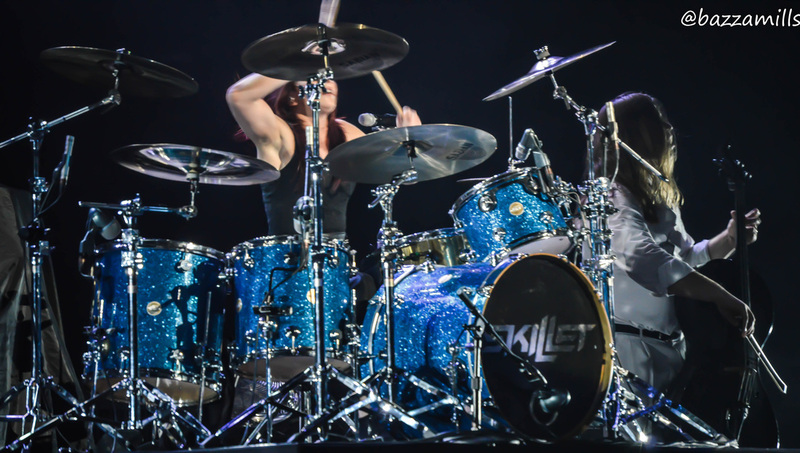 I could certainly have listened to Skillet for a lot longer and whilst I am unsure how often Skillet frequent the UK I will be checking them out again next time they are in Scotland.